Transfer is not a particularly new concept. In the past, it referred to the implementation of economically relevant or application-oriented research findings. Nowadays the term has taken on a broader meaning. In a position paper published by the Wissenschaftsrat (German Council of Science and Humanities) in 2016, “transfer” is defined as the conveyance of scientific and technological knowledge into society, culture and politics in the context of various activities. Accordingly, the Wissenschaftsrat classifies science communication as a transfer activity and explicitly designates exhibitions as a potential transfer medium. This is by no means surprising as museums have been important institutions for the public re-presentation of scientific study and discoveries since the 19th century. However, the Wissenschaftsrat holds a critical view of the traditional concepts of popularisation and knowledge transfer because, by its nature, transfer is not one-directional, but rather a mutual relationship based on exchange and can only succeed if the content and methods correspond to the needs and expectations of the public. The question of how to form such asymmetrical relationships has been the subject of intensive discussion at least since the literary scholar Mary Lou Pratt coined the term “contact zones” in 1991. New variants of the concept, such as “trading zones” (Galison, 1997) and “transaction spaces” (Nowotny/Scott/Gibbons, 2004), indicate that the academic community has come to a new understanding of science and its transfer relationships. Under this expanded definition of transfer, the focus has also shifted to less frequently considered aspects of university collections and the services they provide, e.g. consultation and advice, translation services and collaborative research activities. University collections are especially conducive for testing experimental forms of object-oriented transfer. Because of their unique character, university collections can pursue very different paths than, for example, traditional museums. Collaborating with other “transfer specialists” at universities can produce promising results, be it in relation to subject-specific didactics, transfer centres or science communication departments within the faculties. With this in mind, the conference aims to highlight the performance potential of university collections for scientific transfer both within and outside the university. At the 11th Collection Conference, hosted by the University of Münster and the University Collections Association (GfU) from 11th to 13th of July 2019, participants will discuss how and to what extent scientific collections can contribute to university transfer activities. What forms of transfer activities are conceivable? What might a successful bi- or multi-directional transfer look like? What processes of change could be set in motion by focusing on transfer in and for the collection – as well as within the university? The length of the presentations should not exceed 20 minutes. Further suggestions for workshops on the conference theme “transfer zones” are welcome. Participants may also submit individual wishes for the workshop section. The workshops can have a duration of one or two double periods. A poster session will offer the possibility to present and discuss current projects and the latest research findings. The University Collections Association (GfU) will award six grants of a max. 200 euros each to offset the cost of travel and accommodation expenses for doctoral candidates who provide a substantial contribution to the conference (presentation, workshop, poster). Please submit an informal application to the treasurer of the GfU, Prof Dr Cornelia Weber. UNAM (Universidad Nacional Autónoma de México) has a long and consolidated trajectory in terms of heritage, collections, exhibits, and museums. Not only since 1910, when the furniture and facilities of the old National Schools were attributed to the National University, or since 1929, when its activities are redefined and its assets are reassigned by the University Autonomy, moreover the relationship of our University with the national heritage goes back to 1825, when by presidential decree it was decided that the valuable prehispanic pieces were to be concentrated in “one of the classrooms of the University”. Since then and up to this day, our University has played a lead role in Works related to the gathering, research, conservation, preservation, exhibition and dissemination of the country’s cultural and natural assets, promoting always close contact with national and international specialized agencies, which maintain it up to date in the museum and heritage movements worldwide. Simultaneously, UNAM has generated museum activities of its own that have marked it significantly. These began during the first half of the 20th century. Initially, with the appropriation of the Geology Museum (1929); later, by means of temporary exhibits presented in galleries in Mexico City’s city center. Once UNAM was installed in the Coyoacán campus, it not only secured the preservation of cultural assets under its care but, stemming from an ample program of cultural dissemination it also created its own exhibition spaces, it developed novel exposition techniques and began conforming new archives that consolidated a great variety of topic collections, used in both teaching and research, and extension and dissemination. 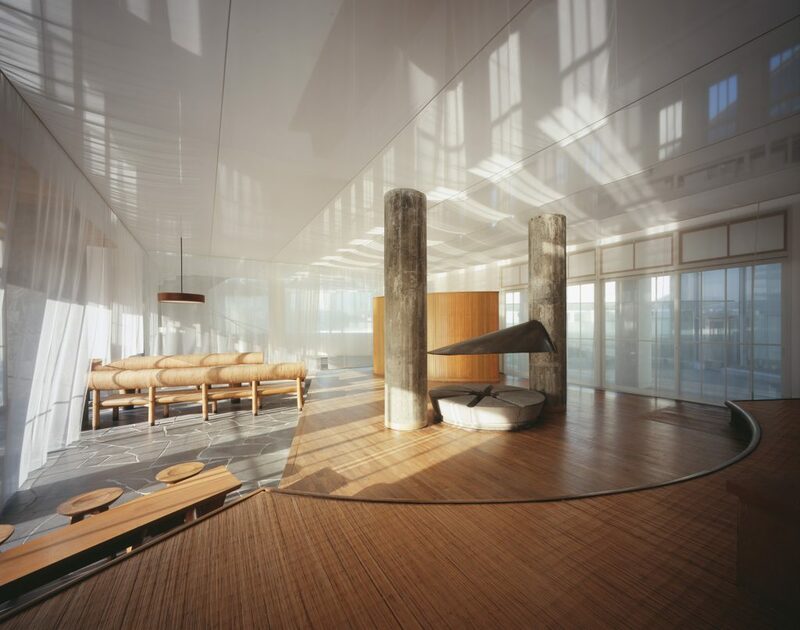 During this process it undertook the task of rehabilitating its historical buildings as museums and cultural centers. To date, we have registered 26 museums and multiple museographic spaces that belong to UNAM created in different moments and circumstances. Its affiliation to different university agencies explains the diversity of objectives that they pursue. The difference in topics, goals, epistemological and dissemination approaches, more than hinder the collector and exposition activities, ratify the vitality of this important museum compound and confirm UNAM’s social projections in terms of its heritage, collections, exhibits, and museums. For a long time, universities have worked in this aspect. However, there is still much to do, since in the las few years there has been a noticeable growth in collections, exhibits, and museums both at UNAM and other higher education institutions, that have increased the expositive contents, diversifying the concepts and ideas of heritage, and there has also been an important change in the uses of heritage spaces and assets. On the other hand, hypoconnectivity forces a reorganization and documentation of a lot of information on collections, exhibits, and museums to be undertaken to offer it to the public in the new consultation digital platforms. The aforementioned advises to revisit, update, and document that has been done so far and propose, stemming from a inter and transdisciplinary standpoints, new way of registering, integrating, documenting, and disseminating the assets and activities in museum terms. In order to reach this, conducting encounters that gather specialists and people in charge of the heritage, the exhibits, and the museums of institution of higher education, becomes necessary; with the aim of reflecting on what has been done and the long-terms expectations and, mainly, to reach consensus that establish basic heritage documentation and museum activity standards. Being aware of this situation, the University Seminar on Museums and Museographic Spaces (SUMyEM), the General Directorate of Dissemination of Science (DGDC), the General Directorate of University Heritage (DGPU), Universum Museum of Science, and the Panel of the International Comitee of Documentation (CIDOC) of ICOM-Mexico call on the university community and interested public to participate in this Colloquium. To gather specialists and people responsible for cultural and natural heritage, collections, exhibits, and museums at UNAM and other institutions of higher education to dialog and reflect on the state of art in each of the topics, in order to propose strategies that improve its ordinance, preservation, management, and documentation and, along with it, its visibility in the cultural aspect. To analyze the new perspectives on cultural/natural heritage, tangible/intangible in the environments of universities and institutions of higher education in order to promote their registry and documentation and, in such a way, ensure their preservation and visibility in national and international ambiences. To exchange experiences of registry, consolidation, preservation and uses of musealized collections, and proposing basic documentation standards. To highlight the importance of registering and documenting the permanent/temporary objectual exhibits in order to recover the museographic trajectory of the institutions of higher education. To highlight the methodical registry of the different activities that are undertaken in the university museums in order to strengthen the fields of museology and museography, along with different academic specializations. Directed to: museum professionals, people responsible for collections, museographers, designers, teachers, museologists, heritage specialists, cultural managers, students of akin areas, and public interested in these topics. Colloquium: 10-14 h; Workshops 16-19 h.
How do we keep the registries and documentation of heritage assets updated? How do we integrate the heritage documentation methods to the new technologies and environments of the world wide web? How do we link them to more extensive programs? How do we materialize the intangible heritage of universities? Challenges of the university heritage in the face of hyperconectivity. University collections = university heritage? Parameters of valuation. Values and uses of university collections. How to give historical collections a sense of timeliness? ¿How do we capitalize the creative processes of the exhibits? How do we better explore the temporary and itinerary exhibits in UNAM’s different spaces? Justification and criteria for the creation of university museums. Definition of the museographic spaces in universities and institutions of higher education. UMAC is organising, with Keio University Art Center in Kyoto, a post-UMAC 2019 Seminar open to all university museums and collections. The theme is University Museums as Cultural Commons: Interdisciplinary Research and Education in Museums. We are inviting the community to submit abstracts for oral papers and posters until March, 31. Keio University Mita Campus, Tokyo (courtesy KU). See preliminary programme and more information here. As the year draws to an end, I am writing to convey my very best wishes and sincere thanks for your support in 2018. This year was very rich. The activities promoted by UMAC around the world were too many to enumerate here. 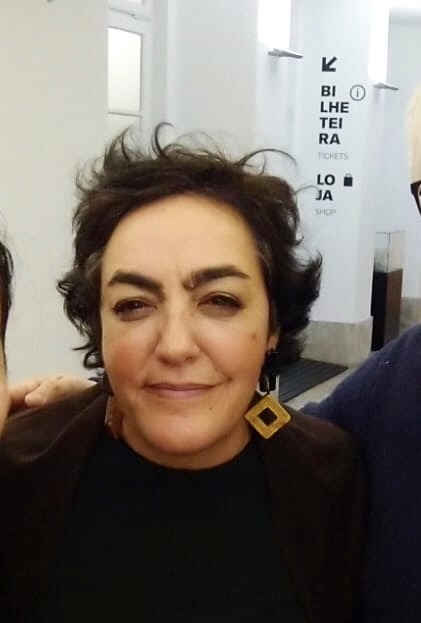 They covered education/training, advocacy, networks and research in Brazil, Mexico, the US, Poland, China, Italy, Chile, Russia, Paraguay, and so many others. The global community of university museums and collections is increasingly well organised and we want to hear more from you through our mailing-list, website, and social media. One of the reasons UMAC exists is to give an effective global voice to your national, regional and local initiatives. Just 3 or 4 highlights for the record. The latest issue of our journal UMACJ (No. 10) was one of the largest ever. The same happened with the number of candidates to the UMAC Award 2018 — won by the Perm University History Museum (Russia) (by the way, you still have time to make your nomination to the UMAC Award 2019). UMAC has launched new leaflets in English, French, Spanish, Farsi, Chinese and Japanese (so far). They are gorgeous. See them here, print them, and use them. UMAC has consolidated partnerships globally (ICTOP) and nationally, in the Americas (AAMG, ICOM-Brazil, ICOM-Paraguay, ICOM-Mexico), Europe (Universeum) and Asia (Shanghai Jiao Tong University, the Chengdu University of Electronic Science and Technology, Shanghai University, Kyoto University Museum Association). This year, UMAC has been (again!) inspired by university museum networks that we are supporting in multiple countries and territories (see them here). We’re particularly delighted to have welcomed back the Brazilian Network of University Museums, created in 1992, to the international community. Young professionals have been outside the radar of UMAC for too long. Well, no more. Following an inspiring and quite unorthodox proposal from the bases, the UMAC general assembly in Miami unanimously approved the creation of UMAC Futures: a forum not only for young university museum professionals but also for discussions about the future of UMAC itself. You will meet them in Kyoto, but meanwhile read more about their approach here. We expect amazing things from them! Not everything was great in 2018, however. Several university museums and collections became under threat due to lack of funds, staff or interest, and some were even abandoned or closed. Three high profile cases have required UMAC’s attention last year: the Shattuck Observatory (1853) at Dartmouth College (US), the two Museums of the University of Kinshasa (DR Congo) and the Bishop Otter Gallery at the University of Chichester (UK). But there were others. We need to continue to insist on responsibility and public access because vulnerability is a permanent state for museums, collections and heritage in universities. What seems stable today may not be stable tomorrow. 2018 was also the year one of the largest university museums in the world — the National Museum, Federal University of Rio de Janeiro — was partly destroyed due to a fire. The shock was overwhelming and global, most likely because the tragedy reminded every single one of us that it could have happened anywhere. The support was also global — it came from museums, ICOM, UMAC, Universeum, the cultural sector and governments. Coincidentally, a team of palaeontologists from the National Museum was in Lisbon just before Christmas and although it’s true that no museum can ever recover from such a thing, I can tell you that our colleagues in Rio are doing an extraordinary work (the methodology of which I have been encouraging them to publish). Several hundreds of items initially thought to be lost have already been recovered after three months of systematic and painstaking work. The UMAC community will continue to be here for the National Museum in 2019 and more years to come. Here is why I think we should be excited about 2019. First, we will have our annual conference in beautiful Kyoto, Japan, UMAC 2019 (1-7 September), integrated in the 25th ICOM General Conference, with an extension to Tokyo (9-10 September). With the help of UMAK — the University Museum Association of Kyoto — we were probably the first ICOM committee to publish our preliminary programme. The call for papers closes January 31. Travel grants do exist, but only for UMAC members (what are you waiting for?! 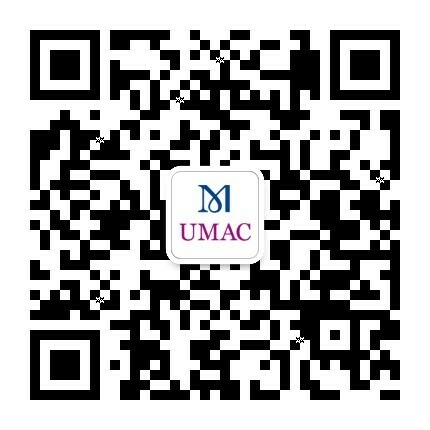 Join UMAC here). Second, in 2019 we will have our very own UMAC app for iOS and android. Developed by students from the Chengdu University of Electronic Science and Technology in China, the app will harvest data from UMAC’s World Database to make university museums and collections more visible to travelers and tourists everywhere in the world. It will be amazing (believe me, I already have the prototype in my phone). Of course, your museum or collection needs to be in the UMAC World Database otherwise it will be left out. We will inform you about the data freeze in advance, but it’s not too soon to update/upload your museum. 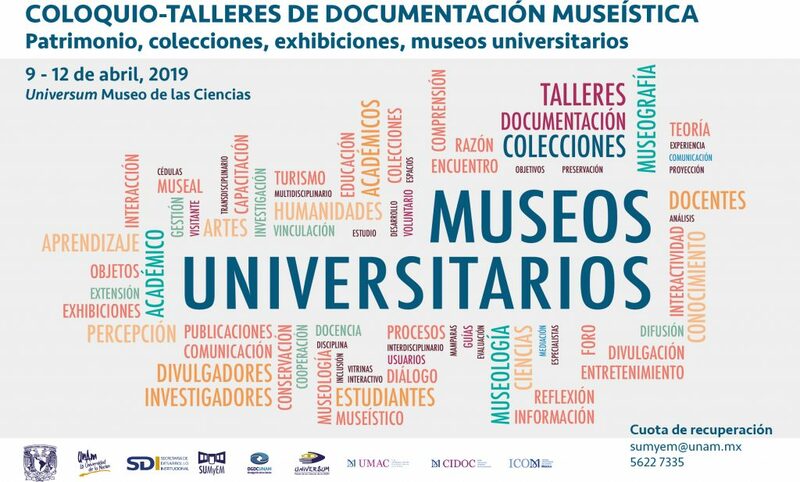 Third, in 2019 we will complete the first ever Global Systematic Survey of University Museum Professionals, a research project promoted by UMAC in partnership with ICTOP, AAMG and Universeum, and supported by ICOM Special Projects. Some preliminary results are already online, but we have to come back to you because some important countries had very low response rates (e.g. Germany, China, Japan). A publication will come out in 2020. 2019 is also an election year for the Executive Board of ICOM and the UMAC Board (Kyoto). I profit this opportunity to enthusiastically encourage all UMAC active members to participate. Our Election Committee will soon inform about procedures and dates. So, there will be plenty of opportunities for engagement at international level. You can also follow us on Twitter, Instagram, WeChat and FB. I am joined by the UMAC Board in thanking you for your contribution towards the mission and activities of UMAC. 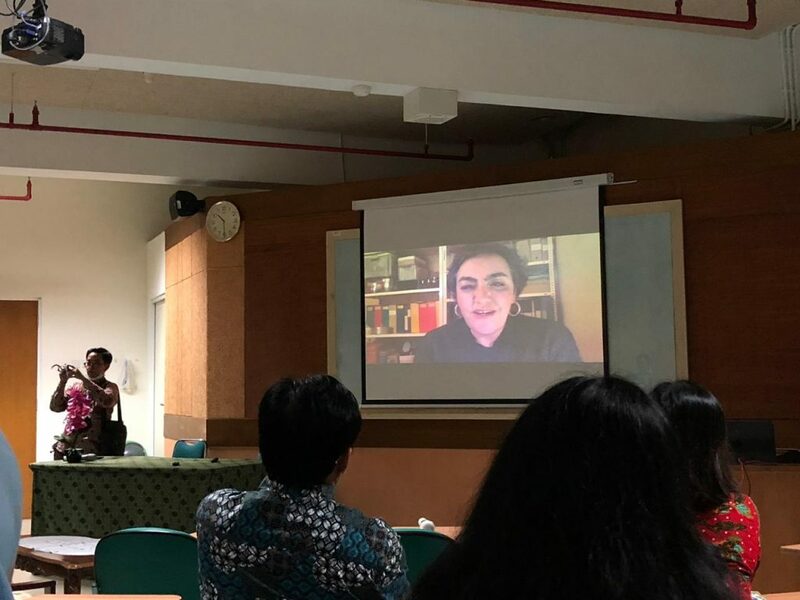 I am particularly grateful to everyone involved in the initiatives I mentioned in this message (editors, researchers, authors, translators, designers, chairs, working group members, organisers, participants). I look forward to meeting even more of you in the coming year, in Kyoto or anywhere else in the world, and I wish you a VERY HAPPY 2019. The Universidad Nacional de La Plata (UNLP), Argentina, created an OBSERVATORY OF UNIVERSITY MUSEUMS. The Observatory is an interdisciplinary project that encourages the reflection, analysis and innovation in the practices of the museums of the UNLP. It proposes a space for study and collective construction in order to contribute to the formulation of proposals and actions on subjects regarding the patrimony, that have an impact in social, cultural, economic and political contexts. Promoting spaces for the dialogue, exchange and spreading of knowledge and interdisciplinary experiences. Elaborating diagnoses to encourage the knowledge and comprehension of the variety of collections and museums in the National University of La Plata. Defining criteria for the gathering and comparison of the data, concepts and methodologies related to the museology field. Defining and developing topics of investigation, parting from common interests. 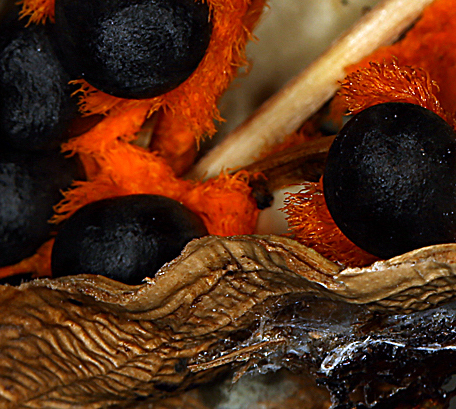 Producing theoretical material as a product of the investigations and data-gathering. Designing processes of professional development for the museums’ workers and the future professionals. Innovating in the field of social museology and the patrimony. 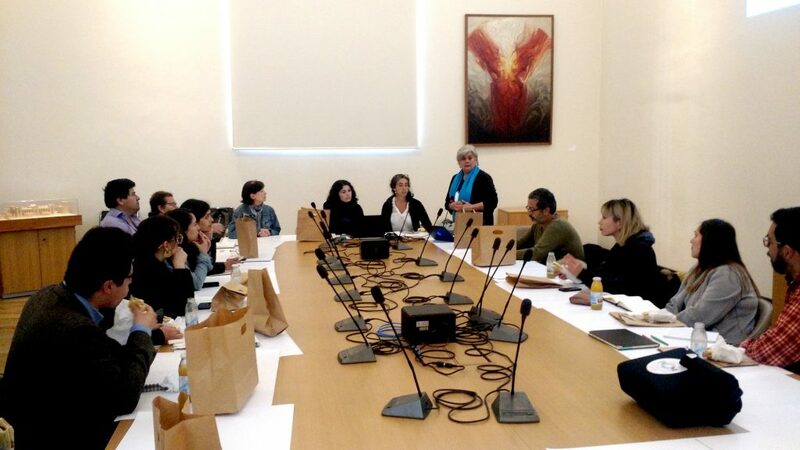 Last week, during the XIV Jornadas museologicas Chilenas at the Casa Central de la Universidad de Chile, there was a meeting of the Group UMAC in Chile. In the photo, Karin Weil (Universidad Austral de Chile) and Margarita Guzman (Universidad del Rosario, ICOM-Chile), among colleagues from university museums and collections in Chile. UMAC wishes all the best to this important national network in Latin America! 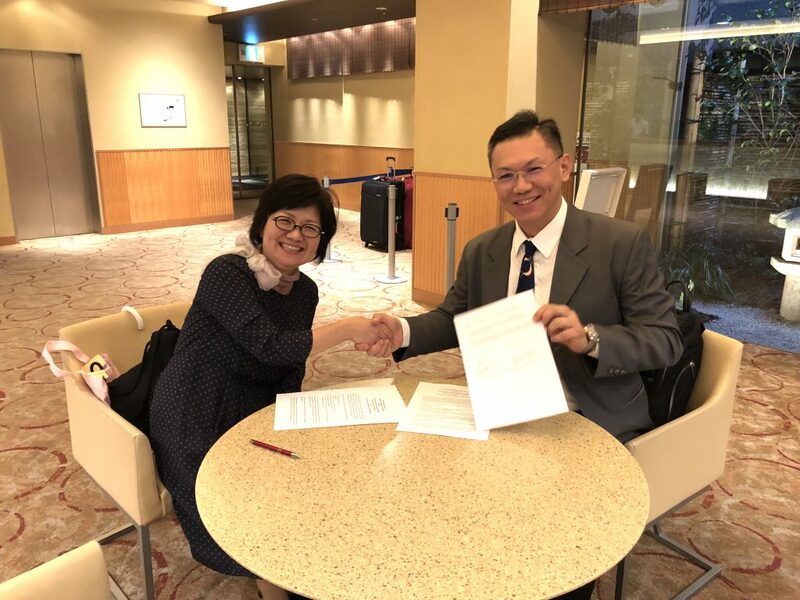 During the International Symposium ‘Activities of University Museums and their Significance’, organised by the University Museum Association of Kyoto, at the end of last month, Kyoto University Museum and National Cheng Kung University Museum (NCKU), Taiwan, signed their second MoU to extend cooperation for another five years. Naoko Iwasaki and Jeng-Horng Chen, Directors of the Kyoto University Museum and NCKU Museum, respectively, after signing the second MoU, last month in Kyoto. NCKU Museum visited Kyoto University Museum unofficially in 2008 for the first time after its own establishment in 2007 in order to learn from the experience of Kyoto. The first MoU between Kyoto University Museum and NCKU Museum was signed in 2013. Since then, they have been cooperating in collection research, academic symposiums, and management experience exchange. A recent cooperation is a collection research by a curator from NCKU Museum to study the collection of Taiwan’s aboriginals at Kyoto University, which will be exhibited in Taipei with a special traveling exhibition of the 14 members of University Museum Association of Kyoto in December 2019. With this renewed MoU, NCKU Museum and Kyoto University Museum will soon cooperate in the planning of a traveling exhibition to Taiwan in 2020.